Located on a 30-acre farm off of Stony Point Road in Sonoma County, the Santa Rosa Pumpkin Patch is definitely a must-visit attaction for families this fall. While its address is in Santa Rosa, it's actually located in the rural area just outside Rohnert Park, making it an easy trip from Marin. Santa Rosa Pumpkin Patch is popular, and for good reason—there are a ton of fun activities and games here for the whole family. You could hang out here and stay busy all day! Of course, don't forget to head out into their giant 10-acre pumpkin patch to look for that perfect pumpkin, too. We visited the Santa Rosa Pumpkin Patch this weekend and had a fantastic time. We were also really impressed with their enormous pumpkin patch, which has wide variety of different pumpkins growing in it. Many of the pumpkins were still attached to the vine, so come prepared with a pocketknife or clippers! A $2 wristband gives you unlimited access to most of the activities here, including giant corn box, pedal trike races, tire swings, a hay maze, a nine-bale-high hay tower, and games like pumpkin tether ball, corn hole bean bag toss, pumpkin checkers and tic-tac-toe, and the Barnyard Ballzone. Kids 2 and under are free. For an additional fee kids can jump on the enormous jumpy pillow, ride down the 24-foot inflatable slide, and visit the animals in the petting zoo. Other attractions include Pumpkin Blasters, tractor-drawn hay rides, and their famous eight-acre corn maze. Santa Rosa Pumpkin Patch also hosts special guests on weekends, including pony rides, face painting, Power Jump, Zorb Water Ball, pony rides, and princesses and superheroes from Amazing Fairy Tale Parties. Check out their website for a full schedule of special appearances. Like most pumpkin patches, food—including hot dogs, chili, and nachos—and drinks are available for purchase, and you can relax and eat lunch in the shade in their large covered picnic area. Their vast pumpkin patch has a really wide variety of pumpkins to choose from, ranging from classic orange jack-lantern types to specialty pumpkins, squash, and gourds. There are plenty of carts to use to haul your future jack-o-lanterns back to the checkstand and then to your car. Prices ranges from $5 to $35, depending on size and type. Mini pumpkins cost $2 and gourds are $3 each. With more than enough activities and attractions to keep everyone occupied and an easy-to-get-to location, the Santa Rosa Pumpkin Patch is a popular choice for fall family fun. The patch is even available for group tours, field trips, and children's birthday parties. Santa Rosa Pumpkin Patch is open Monday–Thursday from 9 am–7 pm, Friday–Saturday from 9 am–10 pm, and Sunday from 9 am–8 pm. The corn maze closes one hour prior. The patch may be closed on rainy days. It's located at 5157 Stony Point Road in Santa Rosa. To get there, take Highway 101 north to the Rohnert Park Expressway exit, and head west over the freeway. Head west until you reach Stony Point Road, then turn left; Santa Rosa Pumpkin Patch will be on your right just after the bridge. 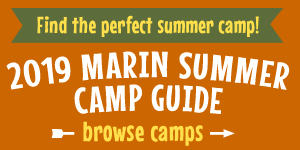 For more information, call (707) 331-6653 or visit www.santarosapumpkinpatch.com.